Click on the teams below to see ‘who’s who’ at the ITM. 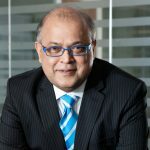 Subrata Ghosh is the inaugural Director of the Institute of Translational Medicine, Birmingham, and Professor of Translational Medicine, University of Birmingham since June 2016. He sits on the College Board of the College of Medical and Dental Sciences, University of Birmingham. He is the gastroenterology theme lead of the inaugural NIHR Biomedical Research Centre, Birmingham. 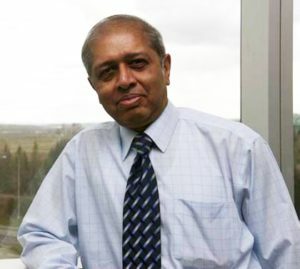 Prior to this Professor Ghosh was the Professor and Chairman of Medicine at the University of Calgary, Canada and Head of Medicine, Alberta Health Services, Calgary. He served on the Dean’s Executive Council of the University of Calgary Medical Faculty. Between 2002 and 2008 he was the Professor and Chair of Gastroenterology at Imperial College London, Hammersmith Hospital. Prior to this, he was consultant gastroenterologist and honorary senior lecturer at the University of Edinburgh. He remains adjunct professor of medicine at the University of Calgary (Canada). Professor Ghosh is a Fellow of the Canadian Academy of Health Sciences and theme lead for integration cluster of the International Organisation for Study of IBD (IOIBD). He has published over 440 manuscripts in international journals including the New England Journal of Medicine, Lancet, Nature Medicine, Gastroenterology and Gut, and delivered over 700 international lectures including named lectures. His research interests are precision medicine in IBD, immune cell plasticity, targeted therapies in IBD, epidemiology of IBD, interaction of nutrients and immune system and standards of care. He has been the recipient of multiple individual and large team grants from CIHR, AIHS, MRC, NIHR, Wellcome Trust, CCUK and CCC, as well as numerous industry partnered research projects. 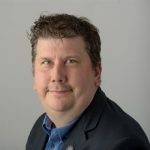 He has served on numerous committees, councils and grant panels regionally, nationally and internationally, and been chief editor, associate editor and editorial board member of a number of reputable international journals. He is very well connected internationally, both through personal research as well as strategic organisational links with institutions in North America, China, Australia and Japan (including the University of Calgary, Chinese University of Hong Kong, Rouen University INSERM Unit, University of Ehrlangen-Nurnberg, GSK, Abbvie and Janssen). Future plans: to develop new targeted therapies in IBD, epidemiology of IBD, standard of care and patient reported outcomes in IBD. Dr Tom Clutton-Brock qualified in medicine from Bristol University (UK) in 1980. He went on to gain an FRCP, FRCA and FFICM. Tom has been a Senior Lecturer and then Reader in Anaesthesia and Intensive Care Medicine at the University of Birmingham (UK) since 1990. He has maintained a career long research interest in medical technology with particular interests in patient monitoring systems and point-of-care testing. Tom was a (part time) Senior Medical Officer (Devices Clinical) at the Medicines and Healthcare products Regulatory Agency (MHRA) for many years. 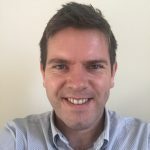 As well as having a clinical commitment at University Hospitals Birmingham, Tom is Associate Medical Director at UHB, Chair of NICE Interventional Procedures Advisory Committee and a past member of Council at the Royal College of Anaesthetists where he chaired the Safe Anaesthesia Liaison Group. 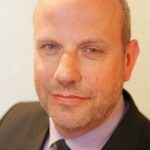 Since 2013 Tom has been the Clinical Director of the NIHR Trauma Management Health Technology Cooperative and from October 2014 the Interim and then Deputy Director of the Institute of Translational Medicine in Birmingham. In 2017 Tom became the Director of the Medical Devices Testing and Evaluation Centre situated on the third floor of the ITM and from January 2018 has been the Clinical Director of the NIHR Trauma Management Med Tech Cooperative. Following a background in Research, Kate joined the ITM in November 2016. She is responsible for managing the building and the activities within it. Wendy Desjarlais has over 15 years of NHS administration/management experience and has a background of working within Research and Education. 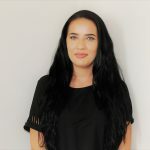 She joined the University of Birmingham in September 2018 when she started her role as Deputy Operations Manager for the ITM. Libbi has worked at the University of Birmingham for over ten years. Eight of these years were spent in Undergraduate Administration, working on the final year of the MBChB (Medicine and Surgery) programme, followed by one year in Postgraduate Administration. Libbi moved to the ITM in August 2016. To view the BHP website, please click here. Please click here to be directed to the BHP website. Emma has a PhD in Molecular Microbiology and her career to date spans initial postdoctoral academic research and teaching and appointments in scientific and research management roles in the Biotech industry and for the Medical Research Council (MRC) in Oxford, which confirmed her move out of the laboratory into academic management. Subsequently she has over 10 years’ experience in higher education management through various roles at the University of Birmingham, progressing from specialist research management to the broad remit of her current roles and including secondment to HEFCE to support RAE2008. 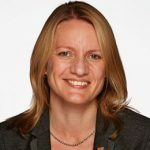 Emma commenced as Chief Operating Officer for BHP in September 2016, supporting the strategic development of BHP as part of a new executive leadership team. As Director of Operations in the College of Medical and Dental Sciences, University of Birmingham, Emma has accountability for the effective operation of a large and complex College including management of people (1,500+ staff, 4,000+ students), resources (£100m+ turnover, £60m new research funding per year) and infrastructure (39,000m2 estate), with direct responsibility for development of the administrative and business functions of the College. Chris obtained a degree in Biochemistry from the University of Oxford (1985) with subsequent undergraduate training in Medicine (MBBS) at the Royal Free Hospital, London (1990). His postgraduate medical training was in General Medicine and Rheumatology at the Hammersmith Hospital, London and John Radcliffe Hospital, Oxford. Chris obtained a DPhil arising from a Wellcome Trust Clinical Training Fellowship at the Institute of Molecular Medicine, Oxford in 1996. Funded by a Wellcome Trust Clinician Scientist Fellowship, he joined the Department of Rheumatology in Birmingham later that year. In 2001, Chris was awarded an MRC Senior Clinical Fellowship and in 2002 became Arthritis Research UK Professor of Rheumatology. In 2012, he was appointed Director of the Birmingham NIHR Clinical Research Facility. 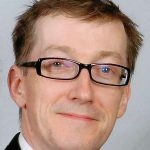 In 2017, Chris took up a joint academic post between the Universities of Birmingham and Oxford as Director of Clinical Research at the Kennedy Institute of Rheumatology, Oxford and Director of NIHR Infrastructure in Birmingham for Birmingham Health Partners. After studying microbiology and virology in the UK and Canada, and completing her MBA, Anne moved over to the management side of science. 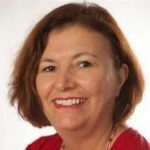 Working first in the medical device sector for Davis and Geck, she then moved to the medical diagnostic sector, working globally for the very successful University of Birmingham spin out company, The Binding Site, as sales and marketing manager. Anne has also set up and successfully run three companies. Joining the University of Birmingham’s Business Engagement team in 2014 allowed Anne to combine her business and science background by facilitating academic and industry collaborative research partnerships. She leads the Business Engagement team in the College of Medical and Dental Sciences (MDS) and is also a member of the Birmingham Health Partners’ Business Engagement Team. The MDS Business Engagement team collaborates closely with global partners in the pharmaceutical, biotech, medical diagnostic and medical device sectors. The team works closely with the MDS Research & Knowledge Transfer Team, and business engagement colleagues across Birmingham Health Partners. Within the University of Birmingham, the team is an integral part of the Finance Office’s Business Engagement team. Jessica has been working as a Business Engagement Officer for the College of Medical and Dental Sciences since September 2016. The role is an integral part of Business Engagement, a growing area of importance for the University. She supports the Business Engagement Partners by facilitating collaboration between academics and industry. These partnerships enhance research, drive REF impact, and help academics translate their research for patient benefit. Her work includes organising and hosting industry visits, assisting with the contracting process, project work, research, and providing management information. She has counterparts in the other Colleges and they work closely together. The team is a part of Birmingham Health Partners: a strategic alliance between the University, University Hospitals Birmingham and Birmingham Women’s and Children’s NHS Foundation Trust. Jessica has previously worked in diverse areas of the University and has developed a good overview of its functions. She holds a European Law LL.M from the University of Edinburgh. Within the University of Birmingham, the team is part of the Finance Office’s Business Engagement team. 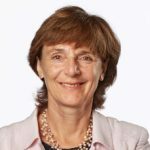 Dr Marietta Iacucci is a Senior Associate Professor (Reader) and Honorary Gastroenterology Consultant at the University Hospitals Birmingham NHS Foundation Trust. She received her Medical Degree and Gastroenterology training from the University of Rome La Sapienza School of Medicine. 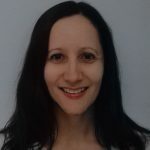 After serving as a Gastroenterology consultant in Rome for several years, she moved to the Division of Gastroenterology as a Clinical Associate Professor of Gastroenterology at the University of Calgary in 2011. In 2016 she joined as the Senior Associate Professor (Reader) in Gastroenterology at the University of Birmingham and as an Honorary Consultant. Dr Iacucci spent two years in London and Cambridge (UK), and in Mainz (Germany), Milan (Italy), and Tokyo (Japan). During this period, she became very involved with the management of IBD. She is focused on advanced endoscopic imaging and endoscopic molecular labeling in the diagnosis of gastrointestinal disease; advanced polypectomy (EMR, ESD); and the management of inflammatory bowel disease. She is a Fellow and Member of the American Society for Gastrointestinal Endoscopy Committee; the European Crohn’s and Colitis Organisation (ECCO) Committee (EduCom); the British Society of Gastroenterology (BSG) Endoscopy Research Group; and the European Society of Gastrointestinal Endoscopy (ESGE) Advanced Imaging in Colorectal Neoplasia guidelines group. 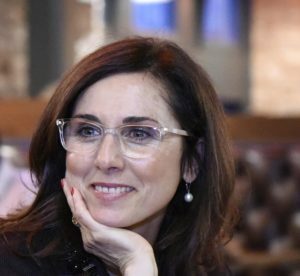 She has designed, validated and published new endoscopic scores in IBD and developed new endoscopic training modules in optical diagnosis lesions, characterisations in colonic lesions and IBD. She has published several manuscripts and been invited to deliver lectures and perform live endoscopy sessions at many international and national conferences including ASGE, ESGE, BSG and ECCO. 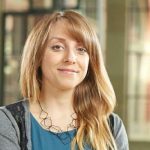 Dr Larissa Fabritz studies novel mechanisms of heart disease and performs translational research towards mechanism-based therapies of cardiovascular diseases. As a clinical consultant, she sees patients in the department of Cardiology at UHB. Dr Larissa Fabritz engages in research on molecular mechanisms of cardiomyopathies and arrhythmias with her working group at the University of Birmingham and collaborations throughout Europe and North America. 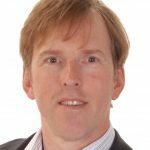 Rick Steeds is a Consultant Cardiologist at University Hospitals in Birmingham, specialising in cardiovascular imaging and in the management of valvular heart disease and rare diseases, including Fabry and Alstrom syndrome. He is the immediate past President of the British Society of Echocardiography. He is an Honorary Reader at the Institute of Cardiovascular Sciences, University of Birmingham, has published more than 200 peer-reviewed research articles, and is an Associate Editor for Echo, Research and Practice. He is currently collaborating with Cardiovascular Imaging, Barts Heart. Dr Chua currently works in the Translational Research on Heart Failure and Arrhythmia group at the Institute of Cardiovascular Sciences, led by Professor Paulus Kirchhof and Dr Larissa Fabritz. Her main interest is on using statistical and computational modelling on heterogenous data to identify patterns of clinical and mechanism-based factors which contribute to incident and recurrent atrial fibrillation. She is also involved in the development and application of mobile apps to facilitate healthcare professional and patient communication, encouraging patient empowerment and joint-decision making in healthcare settings. 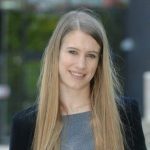 She is keen to better understand the association of atrial fibrillation and cognitive decline to identify the potential mechanisms of these associations which would inform strategies of atrial fibrillation management and prevent adverse cognitive outcomes in patients with atrial fibrillation. Dr Chua is actively engaged in the CATCH ME Consortium (H2020 EU Framework) and the BigData@Heart Consortium (EU/EFPIA Innovative Medicines Initiative 2). 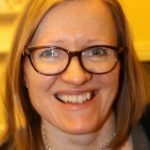 Anita Slade PhD is the ITM Research Fellow in the Centre for Patient Reported Outcomes (PRO) research at the University of Birmingham. She is experienced in evaluating and developing patient reported outcome measures. She is also experienced in using Rasch analysis as a tool for evaluating health outcomes and educational assessments. She has presented and lectured on health outcomes at a national and international level. Primary research interests are outcomes research, including the use of composite outcomes and best practice for patient reported outcome assessment in clinical trials and routine practice. Evaluation and development of patient reported outcomes using Rasch Analysis. 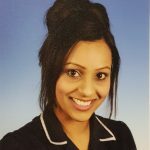 Farfia started off her nursing career in Renal at the QEHB in 2002 and had been working within the speciality for 7 years. This involved looking after patients with acute, chronic and end stage renal failure. She later took the opportunity to work within Research in the NIHR Clinical Research Facility from 2012 as a Research Sister and worked on numerous trials involving all specialities. From 2015 Farfia helped with the set up and opening of the Centre for Rare Diseases and CRF/ITM. She helped facilitate the service to enable it to be a one stop service for the patients and is involved in carrying out experimental medicine within the area. Michelle qualified as a Medical Secretary in 1988 and her first post was as a trainee Medical Secretary at the Birmingham General Hospital. She subsequently moved to the Queen Elizabeth Hospital in 1989 to take up the post of Medical Secretary/PA to a Consultant Hepatologist. In 2001 she was promoted to Team Leader where the role consisted of not only undertaking the PA/Medical Secretarial role, but also line management responsibility of 14 members of staff. During her second episode of maternity leave in 2008, Michelle was appointed as the Administration Manager in the NIHR Clinical Research Facility where she remained until she was promoted to the Clinical Support Manager in the Centre for Rare Diseases. This was a huge challenge in a new post and a new department to bring MDT/one stop approach to clinics and research to the ITM CRF. Professor Wasim Hanif is a Professor of Diabetes & Endocrinology, Consultant Physician and Head of Service in diabetes at University Hospital Birmingham. He is an Honorary Professor of Medicine at the University of Warwick. Professor Hanif is a Board Member of the Centre for Diabetes, Endocrine & Metabolism at the University of Birmingham and Clinical Advisory Group lead for research in Diabetes & Endocrinology at the Institute of Translation Medicine, Birmingham. He is an eminent authority on Diabetes, Obesity, and Ethnic Health. He works with several national bodies and professional groups in the UK. He has been involved with major research projects in diabetes and has published widely. He was selected for the King’s Fund Leadership Programme in Diabetes. His research interests include: diabetic kidney disease, diabetes prevention and management of diabetes in Ramadan, obesity, ethnicity and tackling health inequalities. He is involved as a chief and principal investigator in several international multi-centre trials and was instrumental in setting up UKADS (United Kingdom Asian Diabetes Study). Professor Hanif has been involved at a Parliamentary level in advising the Government on issues relating to diabetes and ethnic health. He is the Chair of the Diabetes Working Group of the world-recognised South Asian Health Foundation (SAHF). He is a member of the Parliamentary and Stakeholder Diabetes Think Tank, advising the All Party Parliamentary Group on Diabetes. His involvement with NICE has been extensive: he sat on the advisory NICE Health Technology Appraisal Committee between 2009 and 2015 and has acted as an adviser on many issues including the use of health technology appraisals of new medicinal agents, definitions of obesity and waist circumference in British South Asians, prevention of diabetes in high risk groups, physical activity and type 2 diabetes. He is on the Expert Advisory Committee of the Commission of Human Medicine, advising the MHRA on new medicinal agents. 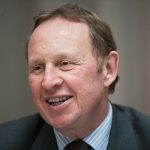 He is on the Board of Governors as a Trustee of Diabetes UK, helping in strategy, advocacy, patient empowerment and research to help improve outcomes in people with diabetes in the UK. Simon Bach leads Birmingham’s early phase trials team (Drugs, Diagnostics, Devices and Biomarkers -D3B) and is Deputy Director of Birmingham’s Cancer Research UK Clinical Trials Unit. He is Royal College of Surgeons Lead for Colorectal Surgery and also lead for the RCS Advisory Group on Robotic Surgery. He is a colorectal surgeon in Birmingham specialising in the minimally invasive treatment of colorectal cancer. He is chief investigator for the Cancer Research UK TREC and STAR-TREC studies that evaluate novel rectal saving treatment for early rectal cancer. As RCS research lead for colorectal surgery he has developed a national framework to promote surgical research partnering patients and clinicians with major stakeholders. He works closely with the trainee research collaboratives and he has also helped developed medical student research collaboratives: STAR-SURG (http://starsurg.org) and EUROSURG (http://eurosurg.org). An innovative training programme called GRANULE has been implemented to teach students and trainees the range of skills necessary to recruit patients to randomised surgical studies. GRANULE has been adopted by NCRI as a web based learning tool to run alongside Good Clinical Practice training. 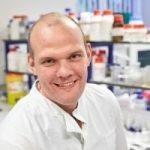 Darren Barton is the D3B Trials Team Leader at the Cancer Research UK Clinical Trials Unit (CRCTU) at the University of Birmingham. Darren Barton Graduated with a BSc (Hons) Marine Biology from Bangor University (North Wales: 1992-1995), After working in pre-clinical toxicology in animal models (both standard toxicology and reproductive and behavioural toxicology in the role of; Histologist, Necropsy/pathology specialist and Study supervisor for approximately 5 years. Darren Joined CRCTU in July 2002 as a trial administrator, working in the field of urology (Prostate cancer and Bladder cancer). In 2005 Darren was promoted to Trial coordinator and his first investigator-led study was entitled: TRAPEZE a phase II/III randomised study combine strontium-89, Zoledronic acid and docetaxel chemotherapy in patients with advanced metastatic prostate cancer involving the bone. Darren has subsequently coordinated (National coordinator and Local coordinator) a number of academic Phase I,II clinical trials involving medical devices, Investigational Medicinal Products (IMPs), Advanced therapy investigational products (ATIMPs) In the field of liver disease. The majority of which were after he was promoted to senior trial coordinator (2009) and he was one of the first appointees to the new NIHR Liver Biomedical research unit Founded in August 2009. Darren was responsible along with other senior member of the team for managing a wide portfolio of industry sponsored liver trials (HCV, Auto-immune disease, liver transplantation, NASH) as well as the coordinator for Multiple investigator –led academic/industry collaboration Phase I/II trials in Liver cirrhosis, Non-alcoholic fatty-liver disease, and Hepatitis C reinfection (post-transplant- prevention). These studies involved IMPs, Biological therapy and medical devices. He has worked closely with industry and various clinical teams at the Queen Elizabeth hospital and has run trials on behalf of the university of Birmingham (sponsor) and local site. In 2016 Darren was appointed a D3B Trials team leader and currently leads the new D3B team portfolio. 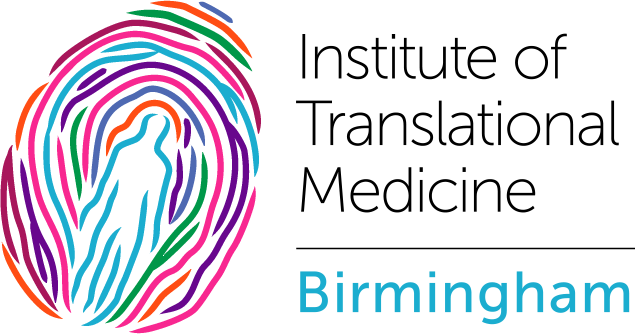 D3B is a core member of the Birmingham Health Partners ITM initiative. Kristian is a senior statistician at the Cancer Research UK Clinical Trials Unit. He joined in 2014, with a focus on early phase trials in haematology and lung cancer. In 2016 he joined the D3B team at the Institute of Translational Medicine. His overriding research interest is efficient methods for clinical trials with small sample sizes, and particularly Bayesian analysis methodology. This entails rare diseases, the incorporation of predictive information in biomarkers, dose-finding methodology, and seamless phase I/II methodology. He is currently researching a PhD on special methods to increase efficiency in clinical trials. He is a co-investigator in clinical trials in Wolfram syndrome, trauma, and chronic lymphocytic leukaemia (CLL). He is the trial statistician on the PePS2 trial in lung cancer, several trials in trauma, and a trial investigating a bio-dressing for microbial keratitis. He has previously worked on trials in AML, MDS, CML, lymphoma, myeloma, and merkel cell carcinoma. Works in the Liver Outpatient Department, IBR of UoB, Tissue Bank of UoB. Interest in Hepatitis C infection disease. His research has been funded by numerous funding agencies, including the UK research councils (EPSRC, BBSRC, MRC), the EU (FP6 and FP7), the regional development agency (AWM), the CIHR, the Furlong Charitable Foundation, the Malaysian Government, the NSF (China), Smith and Nephew, Boots, and JRI. He has published more than 150 full peer reviewed papers, 20 extended conference papers, more than 70 reviewed conference abstracts, three book chapters and has filed seven patent applications. His work has been cited on more than 3500 occasions. 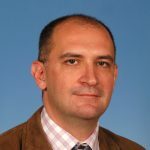 He is also serving on the editorial board of Scientific Reports, Journal of Biomaterials Applications, Advances in Applied Ceramics and has guest edited two special editions of the journal. His work has been featured in Nature Materials, Materials World, and on the BBC. He is a Fellow of the IOM3 and has given more than fifty invited talks internationally. He maintains active collaborations with the University of Wuerzburg, McGill University, UC Davis, Central South University (China), Scuola Superiore Santa Anna (Pisa) and the Italian Institute of Technology. Future plans: To establish a thriving healthcare technology environment in Birmingham. Emma started her career as an Apprentice in Business Administration at a Large Format printing company in Birmingham. Within 4 months of starting the apprenticeship, the Company appointed her as ‘Junior Administrator’ and allowed her to continue studying. Within a few months, she progressed to ‘Senior Administrator’ and was given a more varied workload. She began to build great relationships with clients and had a great eye for detail, so took on PA work for three directors and slowly began to manage client accounts. Emma then progressed to a Senior Account Manager role within a year and learnt a lot about digital print. Emma started at the University as a PA in September 2016, working with a fantastic team and is excited to see what the future holds for the Institute. 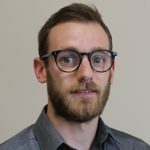 Dr Richard Williams currently works within the Healthcare Technologies Institute in both academic research and healthcare technology commercialisation roles. 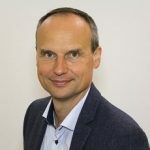 He has experience of translating technologies developed in the lab into finished products for Phase 1 clinical trial, with particular interest in drug delivery systems, reformulated drugs and products that sit on the drug/device borderline. Richard is currently working on the clinical translation of a set of wound-care products designed to prevent scarring in corneal defects and skin burns. His expertise is in experimental design to establish proof of concept; development and commissioning of novel clinical-grade manufacturing processes and; compilation of regulatory documents towards clinical trial application. Richard’s role on the Medical Devices Testing and Evaluation Centre (MD-TEC) project opens his expertise to local Life Science / Medical Technology SMEs. The objective is to help these SMEs to innovate and get products to market faster, at reduced cost, and with less risk. He is currently assisting several SMEs with product development including the development of a novel therapy for persistent infections. His academic research focuses on understanding how materials used to repair and regenerate the body, such as ceramics and soft-solids, behave under physiological conditions. He is also interested in the chemical mechanisms behind mineralisation in the body and has significant expertise in chemical mapping of ex vivo tissue and biomaterials using Raman, Infrared and micro-XRF methods. The region has a very strong knowledge base in healthcare technologies and the infrastructure to translate and commercialise innovations is rapidly coming into place. Richard is working with numerous stakeholders in healthcare to develop a complete pathway in Birmingham spanning basic science, through to clinical development, spin-out of technologies into companies and, scale up into larger businesses. The objective is to increase the flux of innovations reaching the clinic. Richard is always looking to form links with service providers to the healthcare technologies industry, including GMP Contract Manufacturing Organisations (Pharma and Medical Devices), Contract Research Organisations, prototyping, packing and product sterilisation. Having undertaken a Masters at the University of Kent (2012), investigating the use of magnetic nano-particles in cancer therapy, Richard moved to the University of Birmingham to undertake a doctorate (Eng.D.) in formulation engineering; studying pseudo-solid gels for their abilities to both structure fluids and deliver nutraceuticals to the body. During this time, Richard worked closely with an industrial partner to formulate particulate suspensions with controlled material responses: engineering responses typical of solid materials that can be further manipulated to flow when consumed. Further building on his initial work, Richard produced protein-oil composites (core-shell), providing the potential for controlled delivery of lipophilic entities to the GI tract. Following his Eng.D. (2016), Richard has remained in Birmingham, applying his knowledge of soft-solid materials, to engineering bio-materials. The focus of Richards current work looks at reducing ocular scarring, post-trauma. Again, multi-functional devices that incorporates collaboration across several disciplines. Future plans: To continue researching in bio materials, and adding to the current literature. David’s scientific interests and expertise lie at the interface of human biology and materials science. His main research theme is to understand the biological mechanisms that intricately control both the formation and prevention of inorganic minerals within organisms and apply this knowledge in three key areas: to develop improved biomaterials for regenerative medicine; to inspire the synthesis of novel nanostructured inorganics, and to inform the design of improved 3D cell based hard tissue models. Future plans: To develop improved in vitro models of tissues in states of health, regeneration and disease. 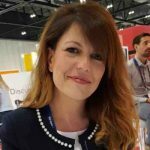 Francesca Barone is an ARUK Senior Fellow, Reader in Translational Rheumatology working as Rheumatologist Consultant in UHB and Sandwell and West Birmingham Trusts. Her main interest is in understanding the relationship between stromal cells and leukocyte in the development of chronic inflammatory process with a particular focus on tertiary lymphoid structure formation. During her undergraduate course in Italy, Francesca developed a strong interest in research and once obtained her degree she decided to suspend her clinical training to do a PhD. She moved to London in the laboratory of Professor Pitzalis to investigate the mechanisms that regulate the acquisition of lymphoid organ features in the salivary gland inflammatory infiltrates of Sjogren’s Syndrome patients, with particular focus on the factors that regulate lymphocyte organization and survival within the gland. She obtained her Specialization and PhD in 2007 and 2008, respectively. She then embarked on a period of post-doctoral studies looking at the physiological biology of mucosal B cells, under the supervision of Doctor Jo Spencer at KCL. During this period she has also worked as Honorary Rheumatology Consultant in close contact with the Oral Medicine unit at Guy’s Hospital in London. In 2010 Francesca moved to Birmingham to study the mechanisms regulating leukocyte/stromal cell interaction in humans and animal models of inflammatory diseases. 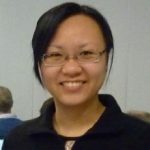 She obtained a Wellcome Trust Clinician Scientist fellowship in July 2010 to develop her research interest as clinician scientist and start her own independent group. She works as Consultant Rheumatologist in the UHB and Sandwell and West Birmingham Trusts, with a main clinical interest in inflammatory arthritis and Sjogren’s syndrome. Since 2014 she has been the Head of the eSSential – EULAR Sjogren’s Syndrome Experimental aNd Translational Investigative Alliance (EULAR) study group. In the summer 2016 Francesca obtained a Senior Research Fellowship from ARUK to exploit the mechanisms enabling the persistence of tertiary lymphoid structures (TLS) in inflamed tissue and to investigate the pathogenicity of the stromal cells in TLS associated diseases. She obtained the title of Reader in 2017. Francesca directs the Laboratories for Stratified Medicine, located on the 5th floor of the ITM. 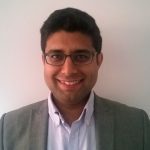 Zohur joined UHB in 2013 as a Graduate Trainee working within and closely with the Education, R&D, and IT teams, as well as undertaking his MSc in Health Psychology at Coventry University. Zohur now works as a Industry Project Manager for UK-PBC (www.uk-pbc.com). He also works closely with the R&D team as well as the BRC. Jim Hancox joined the then Hereford and Worcester Ambulance Service in 2002 qualifying as a paramedic in 2005. A HEMS Paramedic with Midlands Air Ambulance since 2006, he extended his training, qualifying as a Critical Care Paramedic in 2010 and took on the role of Aircrew Supervisor at MAA’s Strensham airbase in 2014. 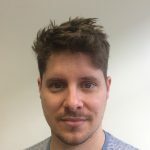 Jim is currently seconded to the National Institute for Health Research Surgical Reconstruction & Microbiology Research Centre (NIHR SRMRC) based at Birmingham’s Queen Elizabeth Hospital where he works as a research paramedic. 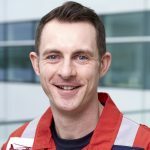 Jim is currently studying for an MSc in Advanced Critical Care Practice and is passionate about the development of prehospital practice seeing research as one of the key elements in improving care for patients. Professor Ferro obtained degrees in Biochemistry and Medicine from the University of Edinburgh graduating in 1991. He trained in internal and renal medicine in Edinburgh, Glasgow, Truro and Bristol in the United Kingdom. His interest in cardiovascular disease led him to obtain his doctorate in Clinical Pharmacology from the University of Edinburgh in 1998. He has been a consultant nephrologist at the University Hospital Birmingham with senior academic positions at the University of Birmingham since 2002. His clinical and research interests have developed to include the aetiology and treatment of cardiovascular disease in patients with chronic kidney disease. In 2012 Professor Ferro was awarded a prestigious personal Fellowship from the National Institute for Health Research to further develop his research interests and translate them to changes in clinical practice. In addition he is pioneering novel methods to make clinical trials more efficient and cost-effective. Currently Professor Ferro is the Chief or Principal Investigator for several international and national clinical studies funded mainly by grants from the National Institute for Health Research, the British Heart Foundation and Kidney Research UK. In addition to lecturing on several undergraduate and postgraduate courses, Professor Ferro is currently supervising 6 PhD students at the University of Birmingham and 1 at University College London. He is frequently asked to lecture at international and national meetings and has published well over 100 peer-reviewed articles. He has served on several international nephrology and cardiology guideline committees. In 2015 Professor Ferro was elected by his peers to serve as a Board Member on the European Renal and Cardiovascular Medicine Working Group of the European Renal Association. Dr Sophie C Cox is a Lecturer in Biomaterials at the University of Birmingham. Her research is dedicated to innovating a new generation of medical devices that are multi-functional and enhance tissue regeneration. To achieve this she bring together her multidisciplinary expertise in materials science, advanced manufacturing and materials – cell interactions with the ultimate aim of improving patient outcomes. Dr Cox co-leads the Tissue Regeneration and Interfaces Laboratory (TRAILab) based in the School of Chemical Engineering and the ITM. Dr Cox collaborates with academics in a number of schools across the University, including mechanical engineering, biosciences, materials and metallurgy, and medicine. She also works closely with a number of industrial partners. Charlotte is the contact for general queries regarding the Clinical Academic Training (CAT) programme. 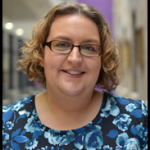 Charlotte is responsible for the effective operational management of the Integrated Clinical Academic Training (ICAT) programme. She facilitates the implementation of all National Institute for Health Research (NIHR) and NHS West Midlands Deanery requirements and supports the Head of Clinical Academic Training in the delivery of all required outcomes across the Birmingham ICAT programmes. 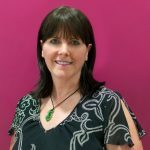 She maintains and co-ordinates partnership working with other West Midlands ICAT programmes at Warwick and Keele Universities and also the National Integrated Academic Training Leads group, which meets twice a year. Charlotte also promotes clinical academic career pathways to undergraduate students and existing clinicians in our partner organisations, through the delivery of events and activities to promote the development of careers in research. With 12 years previous NHS experience and an Executive MBA in Leadership & Management (Health and Social Care), Charlotte facilitates communication and develops relationships between all stakeholders and the ICAT programme. She has interests in service development and quality improvement. Charlotte has regular links with other Universities, local Health Trusts, the National Institute Health Research and other local and national organisations. She also works 1 day a week at Health Education England -West Midlands. Rebecca has worked in project management & administration since 2005. She previously worked at Birmingham City University, on a variety of creative industry business development projects funded by ERDF, ESF, NESTA, Birmingham City Council and Advantage West Midlands. She has worked at the University of Birmingham since 2013, initially as the EuroTEAM project manager. EuroTEAM was an EU FP7 funded project, aiming to identify new biomarkers in early rheumatoid arthritis. The project was worth €7m and involved 16 academic institutions / small & medium enterprises and a panel of 9 patient research partners from across Europe. Rebecca has recently begun a new role as Inflammation Project Manager, working primarily on the A-TAP (Arthritis- Therapy Acceleration Programme), which is funded by the Kennedy Trust, and is in partnership with the University of Oxford and the Kennedy Institute for Rheumatology Research. The A-TAP aims to develop a new taxonomy of disease that moves away from an organ based approach to therapy and towards a process driven & pathway focused driven classification in 4 immune-mediated inflammatory diseases (rheumatoid arthritis, Sjögren’s syndrome, spondyloarthropathy and inflammatory bowel disease). The results will help to treat the cause of disease, not just the symptoms. My main link to another team is the Rheumatology Research Group, based in the Centre for Translational Inflammation Research (CTIR) at QEHB. In the past, I have worked with a number of academic institutions & SMEs from the UK and across Europe, as well as local and European patient groups. My current role within the A-TAP will involve collaboration with 6 NHS trusts across the West Midlands and Oxfordshire. Linda provides project support for key research programmes within the College of Medical and Dental Sciences. In particular her role includes providing full project support to the new NIHR Birmingham Biomedical Research Centre which commenced operation on 1st April 2017. Prior to this she provided similar support to the NIHR Birmingham Liver Biomedical Research Unit, the funding for which ended 31st March 2017. She also provides administrative/ project support to the FP7 MEsenchymal stem cells to Reduce Liver INflammation” (MERLIN – Grant agreement no: 602363) project led by Professor Phil Newsome, Director of the Centre for Liver Research. She also provides ad hoc support to other projects that Professor Newsome is involved with. 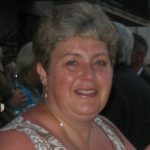 Linda has worked at the University of Birmingham in various administrative jobs roles for various departments since 1999. She has worked in her current position since 1 January 2013. 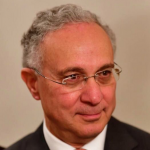 Naiem Moiemen, MB BS, MSc, FRCS (Plast) is an Honorary Professor at the University of Birmingham and a consultant plastic and burns surgeon at University Hospital Birmingham. He is Director of the ScarFree Foundation Centre for Burn Research in Birmingham He is the Clinical Lead of the Midland Burns Care Network, serving a population of 10 million. Naiem is Immediate Past President of European Burn Association Executive, President-Elect of the International Association of Burn Injury (ISBI) and past Chairman of the British Burn Association (BBA). He is supervising 3 PhD students and current chief investigator of 4 current multi-centre burns clinical trials: NIHR-HTA pressure garment pilot efficacy multi-centre trial, and the SIFTI trial investigating the acute response to burn injury and HESTIA trial investigating gut translocation following thermal injury. He is also PI on the Wellcome-NIHR HICF to develop an anti-scarring wound dressing, and recently £4.5m Libor Grant fund to establish a scar and wound healing research centre in Birmingham. He has published more than 90 papers in peer review journals and book chapters. He is a senior editor of BURNS journal and deputy editor of Journal of Burn and Trauma. Jonathan Ross is Professor of Sexual Health and HIV in Birmingham. He qualified from Aberdeen University Medical School and subsequently obtained dual accreditation in general medicine and genitourinary medicine. He has worked as a consultant physician in Birmingham, UK since 1997. 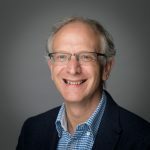 He is vice-president of the British Association for Sexual Health and HIV, editor of the UK National Institute for Health Research (NIHR) Health Technology Assessment journal and sits on the IUSTI World Executive committee. 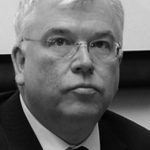 He is also an associate editor of the journal Sexually Transmitted Infections, a member of the editorial board for European Sexually Transmitted Diseases Guidelines and sits on the Primary Care Health Technology Assessment Panel for the UK NIHR. Professor Ross is the author of UK and European Guidelines on Pelvic Inflammatory Disease, and he has written a number of chapters on pelvic infection for medical textbooks. He is a member of the Editorial Board of the Cochrane Collaboration Sexually Transmitted Diseases Collaborative Review Group and International Journal of STD and AIDS journal. His research interests are pelvic infection, gonorrhoea, Mycoplasma genitalium, HIV, and sexual health care service delivery. To view the West Midlands Academic Health Science Network, please click here. WMAHSN connects with the West Midlands academic, health, care, commissioner and life science communities; also with the other AHSNs in England as part of the national movement as well as with healthcare industries elsewhere in the UK or overseas. Interests lie in Adoption and spread of innovation; patients safety; wellness and prevention of illness; long-term conditions (a whole system, person-centred care approach); advanced diagnostics, genomics and precision medicine; mental health (crisis prevention and recovery).